As of last night, I launched the website for BrandVantage, my product I am building. I'm pretty proud of the site, I designed and built it myself as well as designed the logo. This all happened in just over one week since I left my job too! This new site, as well as my personal site and my company's website (both also launched not too long ago) are all built very similarly: a single-page, flat HTML with minified CSS. I like having a flat site like this as it is hosting agnostic. These sites I have built, while are ASP.NET Core projects in code, they are deployed to PHP hosting. The rest of this post explains that setup a little. 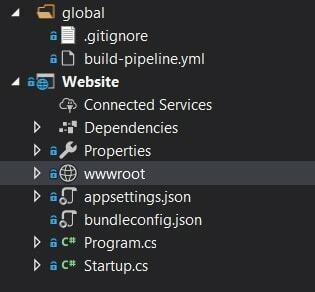 I'm using Visual Studio with each of these projects starting out the same, an empty ASP.NET Core website project. You want to make sure you have UseStaticFiles and set your index file to be a default otherwise it won't work as you expect. This setup really is taking it back to basics, I'm not using any special features of ASP.NET Core itself, there isn't some Razor template I am exporting to flat HTML. It really is just one index.html file that I've manually built. I did look into trying to export a site from CSHTML into plain HTML but it seemed a little too complicated for a single page site. I might revisit this in the future but for now, a flat HTML page is perfect for me. 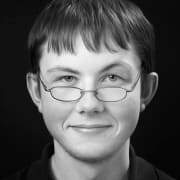 My setup relies on the Nuget package BuildBundlerMinifier which allow the minification of CSS by just simply building the codebase as you would any other .NET codebase. You can see in my site root screenshot that there is a bundles folder, that is created by this process however I have that excluded from Git. The reason for one being in the head and one being in the body is slightly increasing the perception of a faster page load. 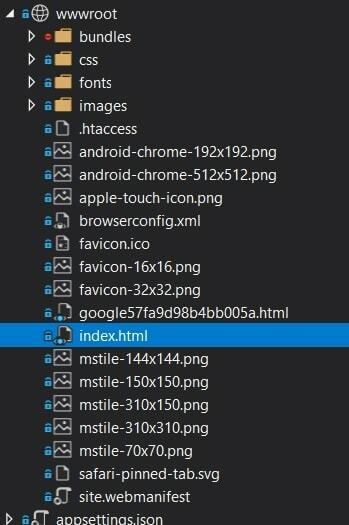 One downside to this entire flat HTML method is that these bundled files aren't regenerated on the fly. This means I need to build again every time I want to view a CSS change. For major works, I might manually revert back to non-minified CSS just to make development easier. Ideally though, you would have it auto-generate on modification - this is something that many other tools provide but I don't (yet) have in my setup. If I were to use CSHTML, I could actually reference both and use tag helpers to define what environment I am running in. Again, something I might consider for the future. You might have noticed in that first screenshot there is a cheeky build-pipeline.yml file, this is used by Azure DevOps Pipelines to allow me to automate my build and deployment setup. I'm no expert on Azure DevOps Pipelines but the above is what I have working for me. First it installs a specific version of .NET Core, just so I have a stable and consistent environment (as .NET Core is already installed). I then run a build which really is just running the minification process. The next two tasks are required for getting the data to package up the build for the deployment pipeline. Maybe not the greatest or most productive setup but one that works pretty well for me. What I can strongly say though is how much I love automated deployments - that stuff is amazing! A small software development company in Adelaide, Australia. I must say you have pretty nice looking landing pages there, congrats on that!, putting that aside it looks very interesting the way you create your projects, you intrigue me to investigate more about the ASP.NET Core and trust me if i had time i would start learning that but as it right know i have a couple of important projects in development with REACT Js that i need to finish. Really well designed page. When I'm dealing with static sites I put them in S3 buckets, or on github pages. 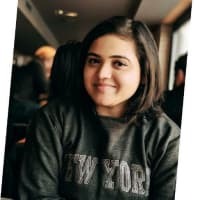 Github was the first direction I was going to go for my personal sites but I changed my mind when I was looking at solutions for my business. My product code use to be hosted on Bitbucket but was to be deployed to Azure. Azure DevOps seemed like the best solution in terms of integration between my code and Azure. Rather than maintain two separate processes for managing my personal site, my company site and my product's site, I decided to just roll it all the exact same way. Thinking of self-hosting? Here's some tips. We're launching a new product, BrandVantage, a digital brand expert for the savvy business owner or marketer. BrandVantage provides simple tools that save time and money, giving any brand an advantage.